The economy leaves customer service budgets strained, and more than one company has trimmed their services back, but according to the Institute of Customer Service, chief executive Jo Causon, quality service is even more important in times like this. When money is tight, people are much more concerned where and how they spend. As an example, let us consider an airport parking garage. In 2007, Sky Harbor Airport Parking’s general manager, Jason Pasley lost money operating his garage because he decided to make the decision to continue all customer service amenities, but ultimately wound up as the only parking site to remain open of any off-airport parking facility. Prior to the economic crunch of 2006, Pasley’s lot was 90 percent full, but with less people traveling, there was a significant decrease in business. 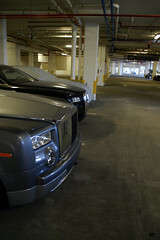 While other off-airport parking facilities used less shuttle services, Pasley kept his going. It didn’t matter if there was one person or ten people being shuttled back and forth to the airport, his shuttles still were in operation every five to seven minutes, and left the parking lot every three to five minutes. Where other lots were using less shuttles and saving money in the short term, Pasley had reinvented his parking lot for pilots and other airline employees who were glad to get to their jobs on time. Adding to Pasley’s appeal, he was glad to honor competitor coupons, helped passengers with their baggage and even waited for customers to start their cars at night when dropping them off. Shuttle drivers were able to inflate tires, were efficient and courteous. If there was a problem, clients went to Pasley. So how has Pasley done since the economic crunch? At the beginning, he lost money, but now he is the only off-airport parking facility left. Any organization can take cues from Jason Pasley’s for their customer service business plans. The real estate industry has taken a huge hit, but agents and brokers who have not compromised their services are the ones who are still out there doing business. Sellers and buyers are much more aware and better educated than ever before. Mix that with the demand for better service and all the innovations modern technology can provide, only the representatives who provide superior service, superior skills, and the latest in technological advances are the ones who are successful. True, we are spending more money for more conveniences and individual needs for our clients and customers, but we are rewarded with continuing business and customer loyalty. Plan carefully before making any budget cuts in your customer service department. Coined by Robert Burton, “penny wise and pound foolish” were never so true. Hear hear!! Makes about as much sense as cutting the training budget, which is the other first thing most companies cut when times are hard. People look for MORE service in lean times; they want bang for their (far-stretched) buck. customer service budget, was a fantastic title to give this valuable post. Where could I actually learn more with regards to this? An impressive share! I’ve just forwarded this onto a coworker who had been conducting a little research on this. And he actually bought me breakfast due to the fact that I discovered it for him… lol. So allow me to reword this…. Thanks for the meal!! But yeah, thanks for spending the time to discuss this topic here on your web page. I’m always glad to pick up the tab. Thank you for reading.